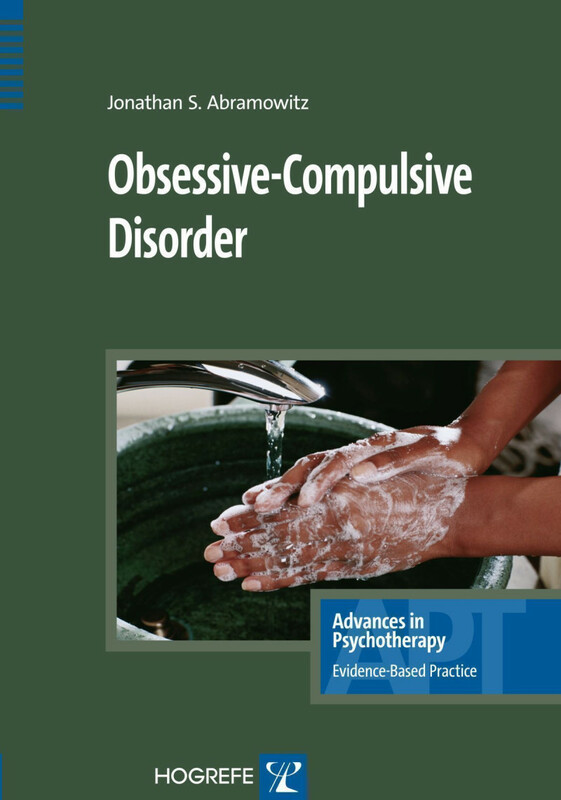 Now available Obsessive-Compulsive Disorder in Adults by Jonathan Abramowitz and Ryan Jacoby. Click here to find out more! Based on decades of scientific research and ­clinical refinement, cognitive-behavioral therapy using the techniques of exposure and response prevention has helped countless individuals with OCD overcome debilitating symptoms and live fuller, more satisfying lives. From leading expert Jonathan S. Abramowitz, this volume opens with an overview of the diagnosis and assessment of OCD and delineates a research-based conceptual framework for understanding the development, maintenance, and treatment of obsessions and compulsions. The core of the book is a highly practical treatment manual packed with helpful clinical pearls, therapist-patient dialogs, illustrative case vignettes, and sample forms and handouts. Readers are equipped with skills for tailoring exposure and response prevention techniques for patients with different types of OCD symptoms, including washing, checking, ordering, obsessions, and mental rituals. The book, which also addresses common obstacles in treating individuals with OCD, represents an essential resource for anyone providing services for individuals with anxiety disorders. "Dr. Abramowitz has done a remarkable job in taking difficult to understand concepts and making them easy to grasp. This is the most practical, user-friendly guide to date. It is a quick, but informative read by one of the premier thought leaders in the field of OCD. This is a must read for clinicians and students alike, and will be required reading for our staff and trainees." This book's clear organization and concise, but meaningful descriptions of complex issues (e.g., neurochemical vs. neuroanatomical vs. learning theories) make it an exceptionally good choice for residents and medical students. The primary strength of this book is the thorough, yet specific and very practical, description of CBT tailored to various presentations of OCD from beginning to end in a time-limited model. Amid a crowded field of OCD books, Abramowitz's book can be recommended without hesitation for clinicians seeking to improve their CBT skills for treating OCD". "...short and easy to read...very helpful for bothbeginning therapists and therapists interested in reviewing adetailed background and description of OCD. The book gives aconcise but thorough overview of current theories and models ofintervention, diagnosis and treatment indications, current methodsof treatment options, case examples, and suggested handouts andtreatment forms. ...gives an excellent review of theories and models of how OCD is learned or biochemically based..."
Overall, this book is short and to the point. Clinicians should findthis a helpful guide to the treatment of OCD. It can also be used asa refresher on an evidence-based intervention in the treatment ofOCD." "Dr. Jonathan Abramowitz is one of the world's leading experts on Obsessive Compulsive Disorder and has cumulated years of hands-on experience. In this very readable treatment program, he makes these strategies and his experience available to the therapist. Anyone treating patients with Obsessive Compulsive Disorder will want to have this resource." "This book does a fine job of combining cognitive and behavioral interventions into an integrated program of therapy. Dr. Abramowitz’ detailed attention to symptom subtypes is especially useful for therapists learning to apply CBT to the many varieties of obsessions and compulsions. The highlighting of clinical pearls, vignettes, and therapeutic dialog is particularly helpful and makes this manual very user-friendly."